»Electric side step now available. This adaptation offers ease of access to higher vehicles. It is independently powered and ejects automatically when the door is opened with no need for the ignition to be on. 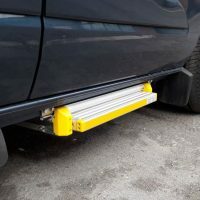 Its slim-line profile enables the clearance of speed-bumps and does not affect the functionality of the vehicle in any way. The row of LED lights above the step flash as a warning when it is ejecting and remain on once the step is fully out as a further safety feature. 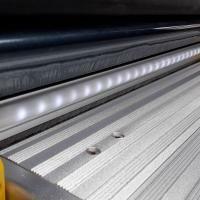 This enables the step to be fully visible in the dark. 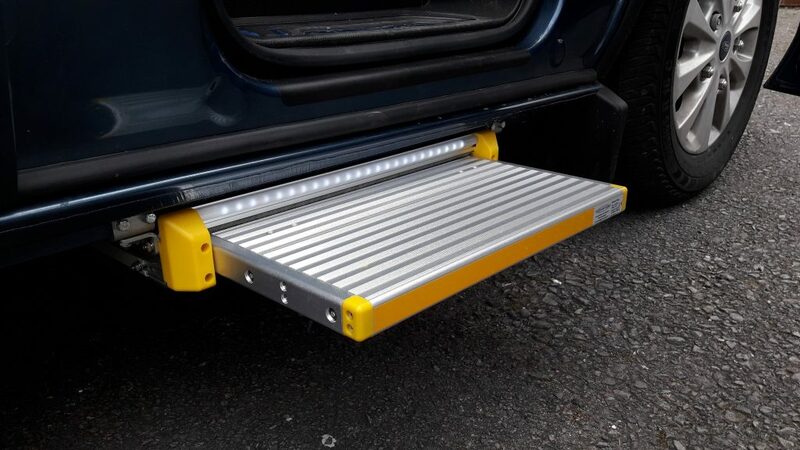 This can be fitted to all vehicles with a high enough ground clearance.